Jocelyn is an independent consultant who works with our school partnerships team. 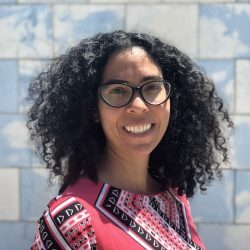 Jocelyn has spent the last 16 years serving underrepresented populations, most recently as the Director of Multi-Tiered Systems of Support and the Reconnection Center for Portland Public School District in Oregon. Prior to her leadership role at the district office she spent 5 years as a principal of two different culturally specific alternative high schools and 6 years in the classroom as a High School English teacher. Jocelyn has a Masters in Education in Administration and Supervision.